Colorado Criminal Law – Informants – CI’s In Colorado Drug Crime Cases – Every month, more than 100,000 Americans are arrested on drug charges. . .The use of informants is as old as law enforcement itself. In Colorado, many of the clients I advise and then represent have been arrested (but not always booked) for low level purchases of controlled substances – usually felony level weight or controlled substances where weight is irrelevant and the felony is based on the type of the drug involved. Undercover narcotics agents then offer the person targeted a way to “work off” the potential felony drug charge by setting up some “buy busts” on behalf of law enforcement. The police believe, although they will never admit this, that they could not investigate and “make” drug cases without the use of informants. Because drug crime cases make up approximately one third of the U.S. criminal justice system—they comprise the largest single type of criminal case and these cases are heavily dependent on the use of informants. An example of this situation is a man who woman who is addicted to opiates such as OxyContin as a result of having had surgery in the not to distant past. Usually, having lost the right to a legal prescription, this person turns to the easily obtained and street version of the drug, heroin. Heroin is in plentiful supply and is very cheap to obtain in Colorado and across the nation. Having purchased heroin from an undercover informant or undercover police officer, my future client is arrested in a “buy- bust.” This person is then offered “leniency” or a “deal” if they can assist the police produce cases by setting up and helping to gather evidence against their dealer or other dealers available to him or her. Black’s Law Dictionary – Someone who informs against another; especially one who confidentially supplies information to the police about a crime, sometimes in exchange for a reward or special treatment. “Snitching” is simple. 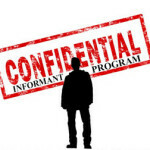 The confidential informant provides incriminating information about someone else, usually a low level drug dealer and then sets up another “buy bust” (or multiple buy bust in exchange for a “deal.” That “deal” is negotiated directly with the police. It can be a complete “walk,” or a plea to a lesser charge or some kind of sentencing agreement. If the confidential informant is unrepresented, he or she is on their own to negotiate the deal with law enforcement. “Informants” are usually ordinary people individuals who supply information about suspected criminal activity to the police. They are referred to as “snitches,” “rats,” or “narcs” (a term originating in the use of informants in drug crimes cases). I. Citizen-Informants – Citizen informants are not compensated for the role they play in providing information and setting up and executing “buy busts.” They can be people who are just present at the scene of a crime and supply information about a case. Because they have knowledge about the crime they can assist the police without the expectation of a returned favor or payment. II. Police Confidential Informants – Police confidential informants are individuals who are not so altruistic. These informants provide assistance for a price. Some are actually paid informants – while others try to negotiate a deal – as noted above – in exchange for some sort of lenient treatment in their own criminal case. Some nuances of the “recruitment phase” of becoming a confidential informant (CI) need to be understood. The contact between CI and law enforcement is quick and confusing. It is quick because the value of the CI on the street dissipates with time. If the detained person is booked and fingerprinted, the word spreads of that person’s arrest and the CI, for obvious reasons, can no longer target his or her dealer or others who are of interest to law enforcement. A note of caution here – (which issue is addressed more closely below), law enforcement often realize there may be problems with their case – a bad stop, a bad search, insufficient evidence or such things as a confession or other incriminating statements taken involuntarily or in violation of Miranda. Knowing this – these same investigators will try to “flip” the suspect and make them a CI before they consult with a lawyer and learn that the case against them would NEVER HAVE BEEN FILED IN THE FIRST PLACE. This bluff works because the potential informant does not know there is no case to be made. Another scenario is where the police “play” a suspect, waiting until they commit a low level buy and then detain that person – threaten, but never arrest them with charges unless he or she makes several buys from the CI’s known sources. The value of the exchange in not bringing a case may be greatly diminished by the risk of harm from the risk to the CI during the expected “buys”…again this is discussed in detail below. The decision to “exchange” assistance for some vague promise of a benefit from that cooperation needs to be, and seldom is, fully understood by the potential CI. Very few rights attach to the CI when compared to the rights that attach to suspects in the world of – forgive the expression – the “normal” investigation and prosecution of criminal cases. In a sentence, the police cannot make promises that bind prosecutors as regards the disposition of criminal cases. Only prosecutors can do that. Unfortunately, potential informants are tempted by often vague promises as regards to the judicial outcomes of their criminal cases. It is worth noting that DA/prosecutors have absolute immunity from civil lawsuits for the exercise of prosecutory discretion – that is the exercise of their authority in how to prosecute cases. On the other hand police have only qualified immunity for their decisions. They can become embroiled in very serious law suits for misusing their power. When narcotics investigators obtain specific permission from their “best friends” in the courtroom – prosecuting attorneys – to use informants through plea bargain arrangements, the deal is wide open to a abuse and the need for a good criminal defense lawyer negotiator is critical at this juncture. “The bargain” may be substantial to the CI. It can include the informant never being formally charged in criminal court, receiving a reduced sentence for substantial assistance, or the informant receiving both a reduced charge and a reduced sentence in their case if charges are filed are all on the table. BUT for the deal to be enforceable in court, the DA must be part of the negotiation. While the police, narcotics division detectives, and investigative agents are the players in this scenario and make the initial decision to either arrest or “flip” a suspect, there are practically NO RESTRAINTS on that decision. The 5th Amendment’s “Miranda Warnings” only apply if the suspect is arrested or otherwise taken into custody. The 6th Amendment’s right to counsel only applies AFTER the suspect has been formally charged….thus leaving the police free to negotiate directly with the suspect with little or no understanding of their rights since the suspect is neither arrested nor charged in this situation. The United States and Colorado Constitutions contain procedural protections for defendants who are charged with crimes. But at this moment in time, there are almost no limitations on the police officer’s power to create and use informants… almost none. If law enforcement has “probable cause” to believe you have committed a crime, they, and only they, make the decision to arrest or not to arrest you. Colorado law permits the police to “use” this situation as an opportunity to seek information. Thereafter, if the police work with the local prosecutor, there is nearly unlimited and un-reviewable discretion (by a judge) to make any and all charging decisions. This so called “discretionary police power” gives the police some of the most powerful authority in the criminal justice system. The right NOT to arrest and therefore the discretion NOT to create a criminal history by booking the possible arrestee, is firmly founded in the law. There is no legal authority which can force the police to make an arrest. The police know they have a wide berth to confront, threaten, and otherwise intimidate the person being detained into cooperating. The fear of arrest and begin charged is enormous and very real. Retaining one’s freedom – the right to remain at liberty – is overwhelming. “[C]onfidential informants often agree to engage in risky undercover work in exchange for leniency, and we cannot think of any reason, especially any reason rooted in constitutional text or doctrine, for creating a categorical prohibition against the informant’s incurring [costs such as] the usual risk of being beaten up or for that matter bumped off by a drug dealer with whom one is negotiating a purchase or sale of drugs in the hope of obtaining lenient treatment from the government. For example, in 2008, a young co-ed who was caught with a small amount of marijuana and some illegal pills, agreed to work as an informant in order to avoid jail. Police sent her on a sting to buy a large amount of drugs and a gun—she was killed during the sting.. Confidential informants have no have no arrest powers, they are not permitted to conduct searches and seizures, and they are not allowed to carry a weapon. They are essentially out there with little or no protection if something goes wrong. The offer to “work off” your case may seem attractive at first. But the potential police informant must weigh the benefit of the “deal” against the real potential result in the criminal courtroom. Snitching has been made even more dangerous by the “stop snitching” movement around the country. In a word, the “stop snitching” movement seeks to expose snitches in the cities and neighborhoods in which they live. A product of decades of the so called “War on Drugs,” the stop snitching movement seeks to end the exploitation of those addicted by drugs. The practical reality of the movement is that it can increase the danger to the CI of being detected and “outed” in their own communities thus exposing these often naïve individuals to very real threats of harm. Criminal informants or CI’s are often targeted by violence if and when they are detected. The idea of retaliation is not only real it can be deadly. The target of the “buy bust” will know, sometimes within hours of their arrest – who “snitched” on them. They can put the word out of the street and with modern forms of internet investigation – these people can be located and harmed. The police offer almost no protection in this regard. More Risk Analysis – Just How Safe Are You From Having Your Identity Revealed? There is a process in the criminal justice system known as “discovery.” Criminal defense lawyers have the right to obtain and then analyze the nature of the evidence against their clients. One part of the discovery process in Colorado drug crimes cases is the defense lawyer’s quest to identify the CI and while there are procedural protections in place that permit the prosecutor the right to keep secret the identification of the confidential informant. BUT, the further a criminal case continues along the path to trial, the less protection the CI has as regards the eventual outing of their name during the litigation of the case. If a case goes to trial, a defendant has the right to confront his or her accusers, and those witnesses include the confidential informant. The truth is inexperienced informants are often victims themselves. Street level drug informants are in this situation BECAUSE they are often the most vulnerable of those contacted by law enforcement. Not only do these individuals often suffer from substance abuse they can be have “dual diagnosis” issues because of a deadly combination of drug addiction and mental health issues. They receive almost no protection on the street and can be exploited by the very people they seek to trust – law enforcement. Unrepresented confidential informants are forced to negotiate directly with police. They are at the mercy of police and prosecutors who many times take advantage of the unwritten rules of this dangerous game. The impact of the complete absence of the application and protection of constitutional rights at this crucial juncture cannot be understated. The decision to snitch can be as “life-threatening” as any other decision we may make in life.. And it should not be made without at least consulting with a lawyer. Summary and Conclusion – Why Should You Retain A Colorado Criminal Defense Lawyer As A Confidential Informant? At the moment of first police contact, the person apprehended is in a state of confusion, fear, anger and regret. They may even be high at the time. This is the key moment for the recruitment of the potential informant and the moment that he or she is least likely to consult with a lawyer. However, some potential CI’s are given the opportunity of time to seek the advice of family and friends before making the decision to snitch. The target CI may figure out the value of consulting a lawyer or it may be that the people in their lives will recommend the services of a criminal defense lawyer to help negotiate the deal. Whether the potential confidential informant ever consults or retains a lawyer is usually a function of knowing their rights.. and, along those lines, access to counsel is one of those things the police would like to prevent as it has the effect of leveling the playing field. When a CI deal is negotiated by a lawyer the agreement is usually written. The agreement, in the form of a contract, lays out the expectations of law enforcement and the benefit of the bargain. It also becomes enforceable in a court of law. Even if the deal is not permitted to be spelled out clearly in writing by the authorities, the lawyer is present during the negotiations and can help enforce the oral contract as regards the expectations and the rewards anticipated by both sides. An experienced criminal defense lawyer will also know if the police are being “unduly coercive” or improperly harsh given the respective positions of the parties. The lawyer will know, for example, what the likely outcome of a criminal case would be should cooperation be rejected and the CI deal fall through. The bottom line, I recommend, before agreeing to any CI “deal” at least consulting an experienced Colorado criminal defense lawyer for a better understanding of the possible risks and rewards in this context. You should be careful to make a responsible choice in selecting a Colorado Criminal Defense Lawyer – and we encourage you to “vet” our firm. Over the last 30 plus years – by focusing ONLY on Colorado criminal law – H. Michael has had the necessary time to commit to the task of constantly updating himself on nearly every area of criminal law, to include Colorado criminal law and procedure and trial and courtroom practice. H. Michael works hard to get his clients the best possible results in and out of the courtroom. He has written, and continues to write, extensively on Colorado criminal law and he hopes this article helps you in some small way – Colorado Criminal Law Guide – The Use Of Informants – CI’s In Colorado Drug Crime Cases. Every month, more than 100,000 Americans are arrested on drug charges. . .The use of informants is as old as law enforcement itself. In Colorado, many of the clients I advise and then represent have been arrested (but not always booked) for low level purchases of controlled substances - usually felony level weight or controlled substances where weight is irrelevant and the felony is based on the type of the drug involved.